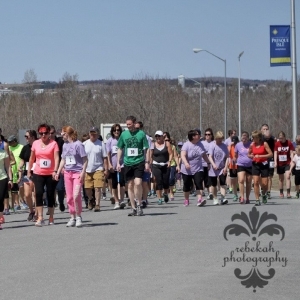 The University of Maine at Presque will serve as the host site of the 5th Annual Safe Homes Aroostook “Move to End Homelessness” 5K fundraiser on Sunday, May 7, 2017, at 1 p.m. The 5K fun run/walk, a timed event that will be held rain or shine, will start and end at Gentile Hall and wind along the city’s sidewalks and bike path. Pre-registration check-in and same-day registration will begin at Noon. Safe Homes Aroostook is an annual event that raises community awareness and funds to support an organization that works to ensure safe homes for everyone in The County—Hope and Justice Project. Representatives from Hope and Justice Project and members of the UMPI community—including several Business and Social Work students—are working together to put on the event. 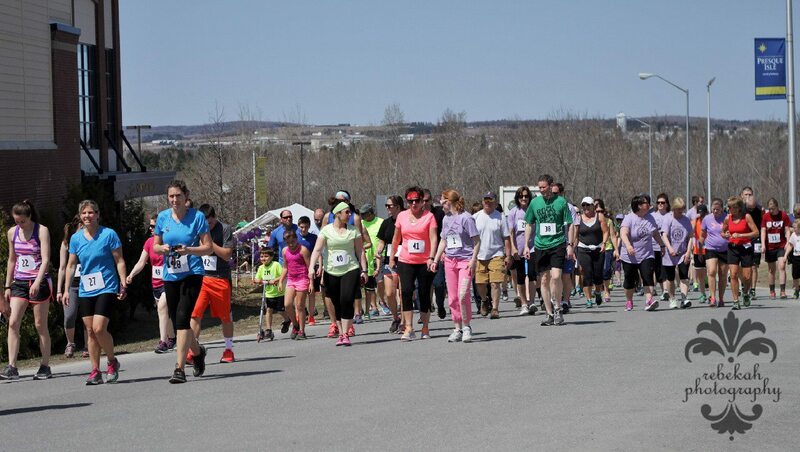 Organizers are hoping to grow the Safe Homes Aroostook event, which saw over 150 participants and raised more than $5,300 last year. All who register will receive a T-shirt, while supplies last, and be entered to win a variety of prizes. Awards will be available for largest team, most funds raised by a team, most funds raised by an individual, fastest female, and fastest male. This year’s event will again feature DJ Adam Ouellette of Madawaska for musical entertainment at Gentile Hall. Hope and Justice Project was founded in 1979 and provides services throughout The County from Houlton to the St. John Valley. Its mission is to educate the community on domestic violence, give help to victims in achieving safety, including shelter, and to reduce social attitudes that tolerate and foster abuse and violence. Top sponsors, so far, for this year’s event are, Adam’s Mobile DJ Service & Sound, Falcon Transportation LLC, and UMPI. Businesses or individuals interested in becoming a sponsor should contact Shaw at 764-2977. Cost to participate is $20 per person; children under 12 are free. Participants are encouraged to raise additional funds through pledges, and can create a team to raise funds as a group. Checks can be made payable to “Hope and Justice Project,” P.O. Box 148, Presque Isle, ME 04769. For more information about the event, visit www.safehomesaroostook.org. To register, visit www.safehomesaroostook.org/registration. To volunteer or for other inquiries, please call Rebekah Shaw at 207.764.2977 or email rebekah@hopeandjusticeproject.org.